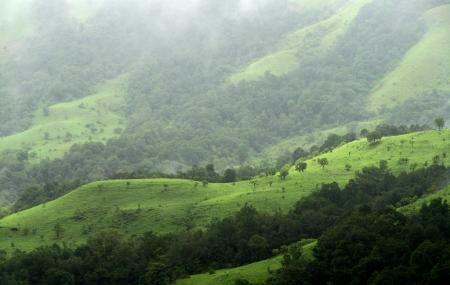 Gangamoola Hills is one of the scenic ranges from the hilly chain of Western Ghats of Chikamalagur district. It is also a UNESCO world heritage site. Located 1458 meters above the sea level, it is blessed with abundant rainfall of around 575cm that accounts for its dense vegetation. The lofty hills of Gangamoola rainforest are the fountainhead of three mighty rivers, namely Bhadra, Tunga and Netravathy. Thus, this versatile location is the ideal gate away for nature lovers. Also, visit the popular attractions in the city by following Chikmagalur itinerary 2 days. Permission from the Forest Department is required before going on a trek. It is a natural attraction. However, going during sunset is considered as the best time. How popular is Gangamoola Hill? People normally club together Kudremukh and Kalasa while planning their visit to Gangamoola Hill.